Our wedding albums are supplied by GF Smith a British Wedding Album supplier, each album is available in eight different cover types and three album styles. 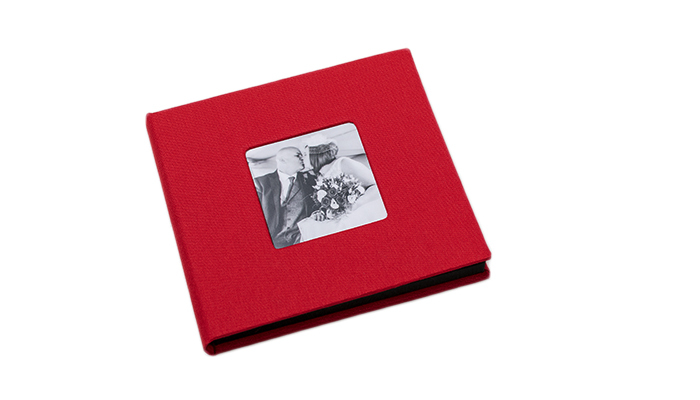 We supply the plain album type with out all day wedding photography package, which can easily be upgraded a extra cost. Available in 12x10” for 10x8” prints this box comes complete with ten 10x8” prints of your choice mounted within beautiful beveled edge mounts in a choice of Black / Ivory / Baby Blue / Pink colours. Also included is a stainless steal heart shaped USB stick containing your images and a slide show. Available in either faux leather or fabric exterior the USB folio comes in huge range of colours with a favourite image on the outside and on the inside plus a USB stick containing all your images and a slide show.